Blackberry Curve is very famous mobile phone series in blackberry. the special thing is the appearance of all curve phones are almost similar. Blackberry Curve 8250 is a newest phone which has 2.64 inch TFT display. like previous curve phones, 8250 has a full QWERTY keypad. even this has a very smart look, 8250 is a simple phone for reasonable price. it's just a 2G phone. if you familiar with Samsung phones, this phone seems like Samsung Blackjack phone. but this is New Nokia 6760 slide phone which announced in 2009 June. Nokia 6760 is not away from usual Nokia design, it has very attractive look and the slider QWERTY keypad opens in left side like Nokia N97. it's a 3G phone which supports 3.6MBp/s HSDPA speed. 6760 has 128MB internal memory and supports up to 8GB micro SD memory cards. Nokia 6760 slide has bluetooth, wi-fi and a micro USB port to connect with outside. the main camera is 3.15MP which has 2048x1536 pixels resolution. the OS of this phone is Symbian OS, S60 rel. 3.2. also Nokia 6760 slide has a good GPS receiver with A-GPS support. the media player is also great, which supports many file formats like wma and MPEG4. Gigabyte recently launched this very handsome phone. this is the latest Gigabyte touchscreen phone. even Gigabyte is not a famous name in mobile phone market, they have launched number of good mobile phones. 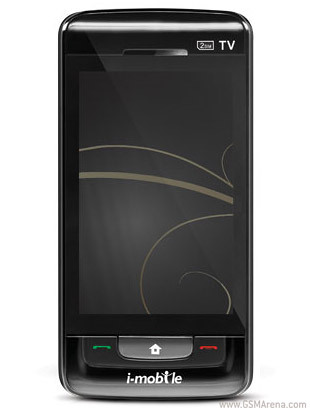 Gigabyte GSmart MS802 is a full touchscreen phone which has 2.8 inches resistive touchscreen. also it's a 3G phone which supports 3.6Mbp/s HSDPA speed. 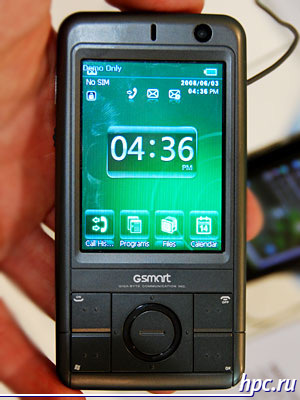 the Gigabyte GSmart MS802 runs with newest Microsoft Windows Mobile 6.1 Professional OS. also it has very powerful hardware to run it properly, 520MHz processor and 128MB RAM. the internal memory is 256Mb and it also supports up 8GB memory cards. Gigabyte GSmart MS802 has wi-fi, bluetooth and mini USB port. the main camera is 3.15MP and the maximum picture resolution is 2048x1536 pixels. it has GPS receiver with A-GPS support, which powered by SiRF Star III chipset. There are lot's of china Dual SIM phones, without correct brand. but even a china manufacturer,i-mobile getting a good place in mobile phone market. recently i-mobile launched a good quality Dual SIM phone. it's just a 2G phone but has very attractive features. mainly it has a full touchscreen and TV tuner. the touch screen is a 3 inch resistive touchscreen. it has a 3.15mp camera which supports 2048x1536 pixels maximum picture resolution. also it supports .avi format video recording. it has mini USB port bluetooth and an Accelerometer sensor. the internal memory is 64Mb and it supports up to 8GB memory cards. Read More! Samsung S6700 is a mid range cheap phone which has 3G HSDPA. Samsung announced about this phone in 2009 june, it may available in end of year 2009. the most special thing is this phone has almost all new features but cheaper than others. S6700 has a 2.4 inch display and an Accelerometer sensor. the internal memory is 120Mb and it supports up to 16GB memory cards. like many new samsung phones, S6700 has Digital Natural Sound Engine which gives very quality music. the main camera is 3.15Mp one which comes with a LED flash. it's maximum picture resolution is 2048x1536 pixels and the camera application has image stabilization feature. Samsung S6700 has a GPS receiver with A-GPS support. the media player supports many file types like MPEG4 and WMV.